Rustic fall wedding invitations featuring a maple leaf print as the main element of this design. There are alternative color options. Matching stationery available. These unique fall wedding invitations feature a maple leaf print as the main element of this design. The typography colors are coordinated with the leaf depending on the color you choose for the leaf print. The most fall looking color choices are Rust and Spice. Rust – Burgundy brown colored maple leaf print and bride and groom names. Spice – Orange tone colored maple leaf print and bride and groom names. Alpine – Green colored maple leaf print and bride and groom names. Back Options: The back of the invitations are white. Additional options for the back: solid color, maple leaf print pattern, text and photos, or photos only. 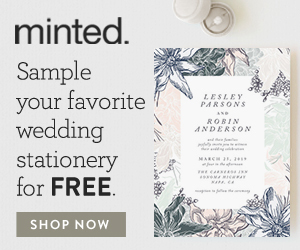 Trim Options: There are a number of trim options for these invitations: rounded corners, bubble scallop edges, tag style, and waved, classic or curved frames. Envelope Extras: Wrap around return address labels and envelope liners( gold, silver or leaf print options). Your guest’s addresses can be printed directly onto the envelopes. This option is free for a limited time. This can also include the leaf print motif or just the address. 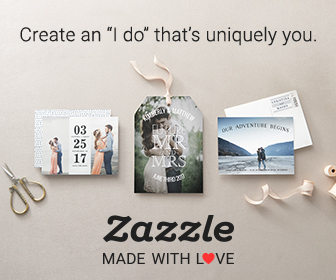 Matching Items In This Suite: thank you cards, personalized postage stamps, place cards, table numbers, wedding programs, menus, reply cards, reception cards, direction cards, wedding favor tags, wedding favor stickers, save the date cards or magnets and a wedding website. This is a lovely simple design that shows the beauty of an autumn leaf. I like how there are two fall color designs to choose from which is useful if you are having a color palette of deeper fall colors or going for something a little brighter. These unique fall wedding invitations have been designed by Katharine Watson. Fall tree wedding invitations featuring birch trees with yellow autumn leaves. There are 2 color options available or you can choose your own custom colors. Matching stationery available. Fall autumn wedding invitations featuring beautiful autumn flowers, berries and pumpkin on a chalkboard background. Decorative corner trim. The wedding date is on a banner. Elegant fall wedding invitations featuring pressed foil leaves on a rustic kraft background. The foil color and background color options available. Matching stationery available.